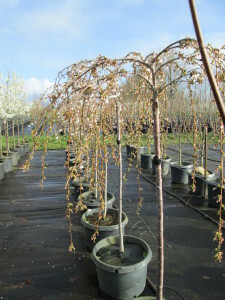 Sauvie Island Ornamentals is a wholesale tree nursery. 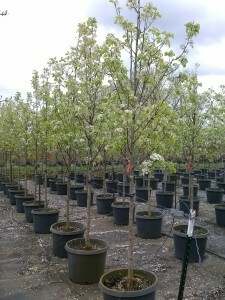 We specialize in growing quality containerized, deciduous, shade and flowering trees. The container trees range in size from 1.25″ to 2.5″. These trees are priced by the caliper, not by the size of their containers. 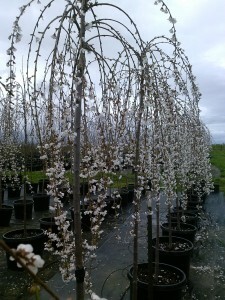 We also grow trees on a contract basis. If you are interested in contract growing please call Julie Holmason at (503) 807-8602. We take most major credit cards and there is no minimum order. We try to go above and beyond with our customer service. It is one of our top priorities. Every job has delays and unexpected requests, and we promise to do our best to accommodate all of them. We will always have one of our sales team answering the phones from 8:00am to 4:00pm Monday through Friday. We are here to answer any questions or we can make alternate suggestions for your jobs. If there is ever an urgent request on the weekends, we will try to make special arrangements to fulfill it.